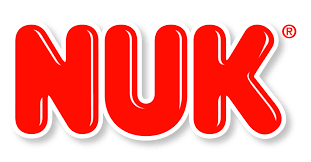 NUK® offer a wide range of high quality baby bottles, soothers, teethers and accessories. NUK® is the only brand that has had both their teats and soothers approved by the British Dental Health Foundation. NUK® teats have also been clinically proven to make the transition between breast feeding and bottle feeding easier. Colour and design of some of our baby products may vary from photograph. We will try to match the photgraph where possible. Assortment of colours and designs available, if you have specific requirements please enquire before purchasing.